Google+ Mom to 2 Posh Lil Divas: Dr. Seuss' OOBLECK! You can not celebrate Seuss Week without reading Bartholomew and the Oobleck, and of course we couldn't read the book without mixing up an ooey batch of Oobleck ourselves. We recently mixed up a batch of Goop and the Oldest Divas LOVED it. After reading the story, she actually informed me that we "had to" make some Oobleck because in her own words, "it goes with the book, Mama!". 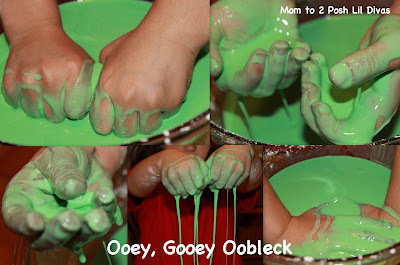 When we made our goop, I played it safe and we did not use food coloring. This time, I knew it had to be green. 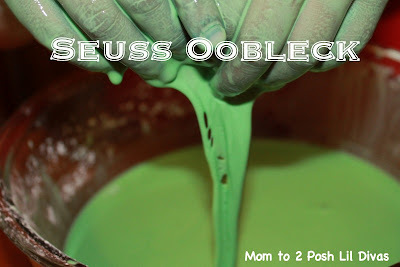 It just wouldn't be true Seuss Oobleck if it weren't green! 1. 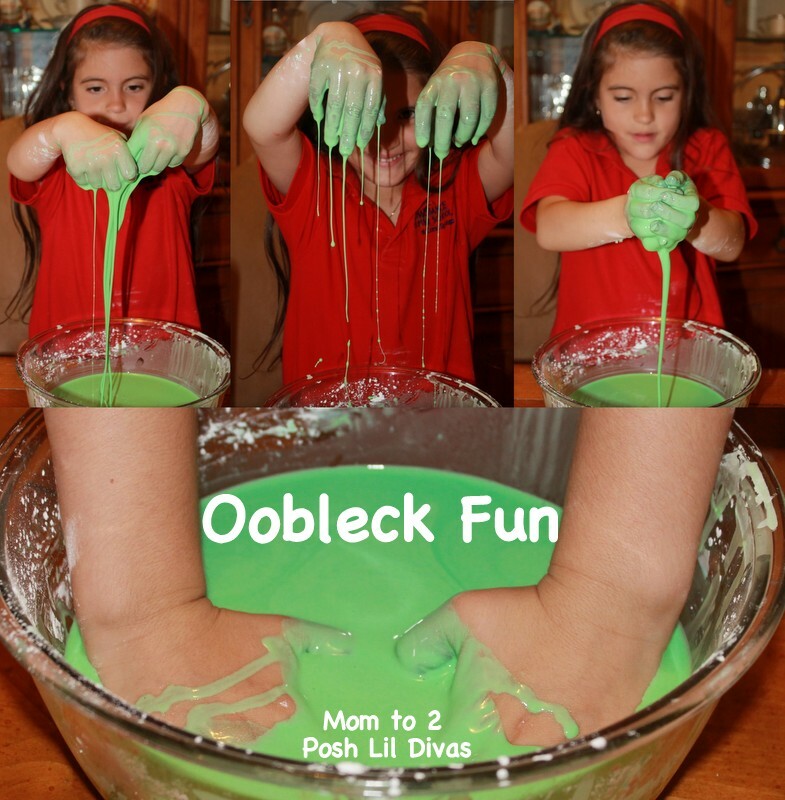 Oobleck (or goop) is not an exact recipe. It really depends on your preferred consistency. The best way to go is to add the water in slowly and stop when you feel you have achieved your "desired" consistency. 2. The food color dyed hands are NOT permanent (I promise!) but it will stain so be prepared for it. 3. Prepare the area for mess. No matter how careful, your child will not be able to resist letting it flow through their hands/fingers. A little splatter will occur. It is easy to clean up but it would be ideal to do this in an area that you can either cover or easily wipe down. 1. Start with 2 cups corn starch in a bowl. 3. Add a few drops of green food color (if desired). The Oldest Diva was very generous with her food color so her hands were quite green. They were back to normal by bath time but we washed them quite a bit right after playing. This never gets old. It just feels so cool. You can scoop it and it feels solid, then it just runs through your fingers. Looks like fun! Thank you for sharing! My lil diva is obsessed w/ experiments right now and has loved all of the one's we found on your blog! What a fun activity!! Thank you so much for sharing at Sharing Saturday! I hope you will share with us again this week! 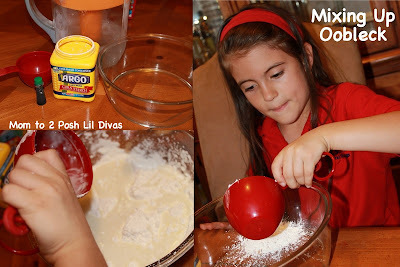 We are going to make this later this week! Thanks for sharing! I am 18 and I looooove playing with cornstarch/water mixtures lol=) especially adding food coloring! Loved the episode of Big Bang Theory where they make this and put it on a specially wrapped speaker and watched sound make the Oobleck dance on its own. Super cool. When I was elementary school, my teacher read this story too us and we made oobleck too. It was so much fun! 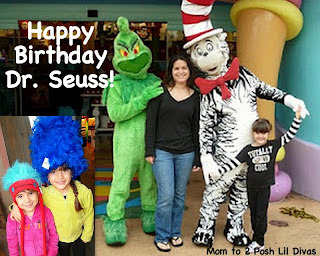 I am definitely going to do this with my children. I cannot believe I forgot about this. Thank you posting!